Caleigh Johnson signed a letter of intent to play volleyball at Smith College in North Hampton, Massachusetts. Caleigh is a four year letterman with volleyball, three year letterman in basketball and received a swim team letter this year. Caleigh was part of the State Champion team. Sidney Brannam, signed a letter of intent to play softball with Case Western Reserve University in Cleveland, Ohio where she will continue her pitching career for their team. Sidney has received several All District honors with her softball skills and is a four year letterman on the Savio Lady Eagles softball team. John DiGravio signed to play baseball at Williams College, located in Williamstown, MA. Founded in 1793, the school has been ranked by U.S. News as the nation's #1 liberal arts college for 14 consecutive years and is home to the oldest intercollegiate varsity baseball team in the country. He intends to study economics. As an Eagle, John earned four varsity letters and All-District and Academic All-State honors. At the signing ceremony, he expressed his gratitude for his parents' countless sacrifices and extraordinary dedication in making this achievement possible. 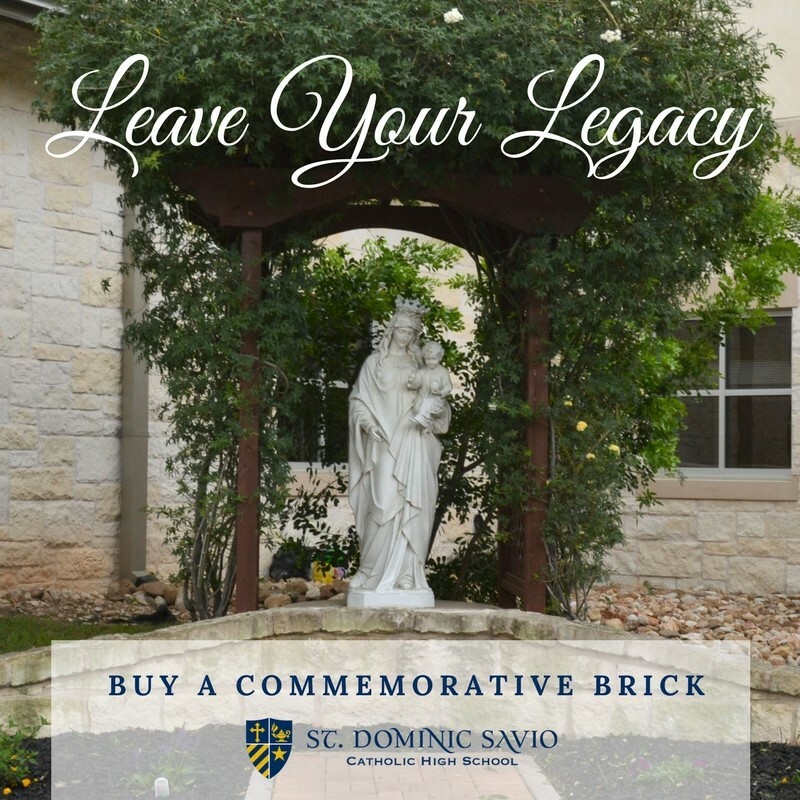 Commemorative bricks are now available for purchase by friends, family, and Alumni, who want to leave their legacy. Each brick can be purchased for $100.00. All proceeds will go towards future Alumni gatherings. Bricks can be engraved in memoriam of a family member, friend, name of a club, or student that has attended Savio. Please contact Mrs. Almanza for any questions: calmanza@saviochs.org. Please drop off the form and cash or check payment, with your Order Form to the Savio Front Office or pay by Credit Card HERE by June 1, 2017. 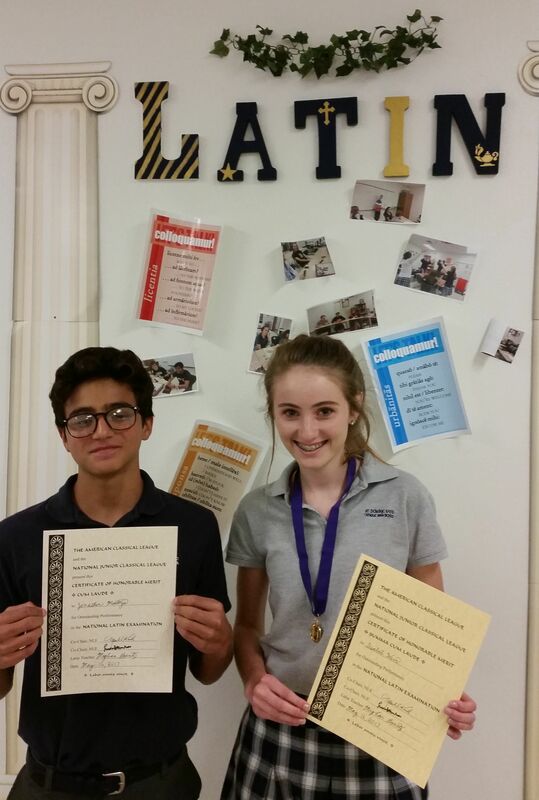 This year, 15 Savio Latin students were honored for their outstanding performance on the National Latin Exam. 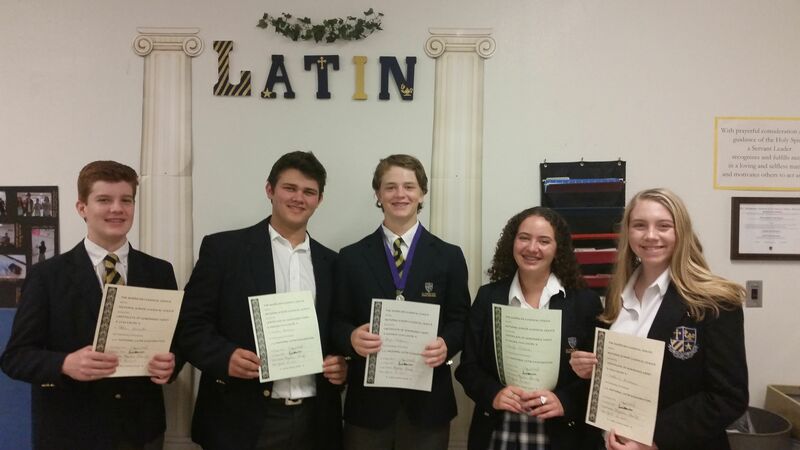 Over 150,000 Latin students across the country participate in the National Latin Exam each year. 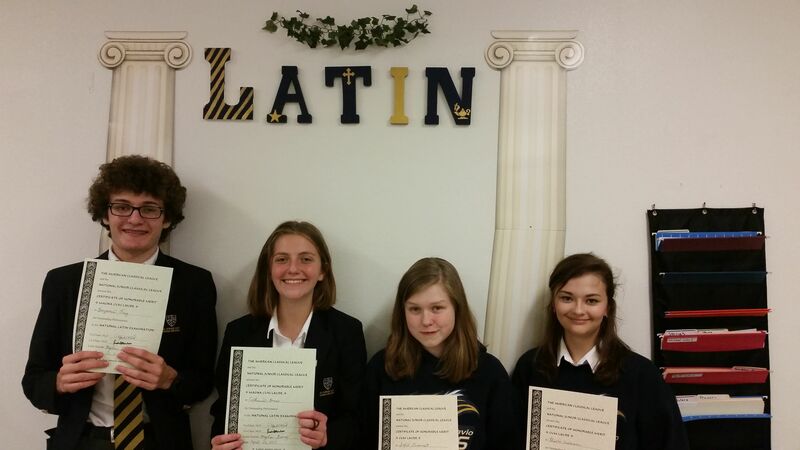 This year, nearly half of Savio Latin students achieved recognition for their scores. 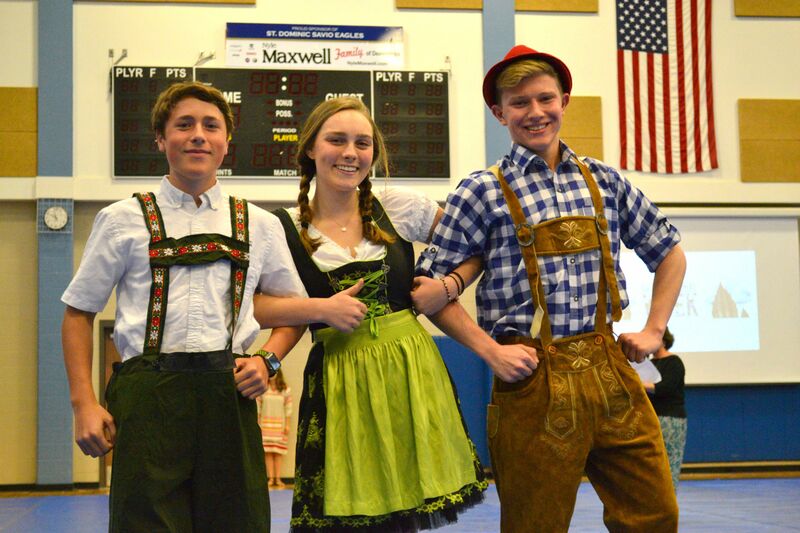 Savio celebrated their annual International week on Monday, May 8th - Friday, May 12. 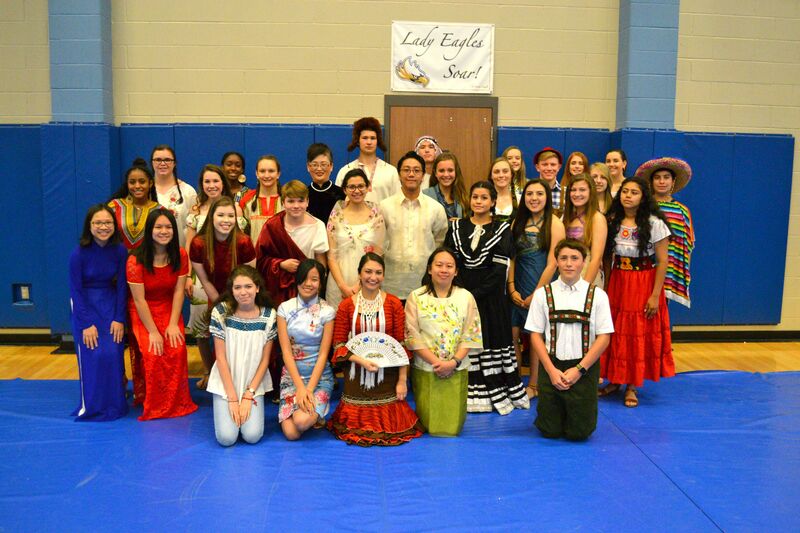 Students participated in several activities surrounding various cultures around the world. During our Mass on Wednesday our students said the Prayers of the Faithful in different languages including: Spanish, Latin, Chinese, Vietnamese, Korean, Russian, French, Amharic and Polish. 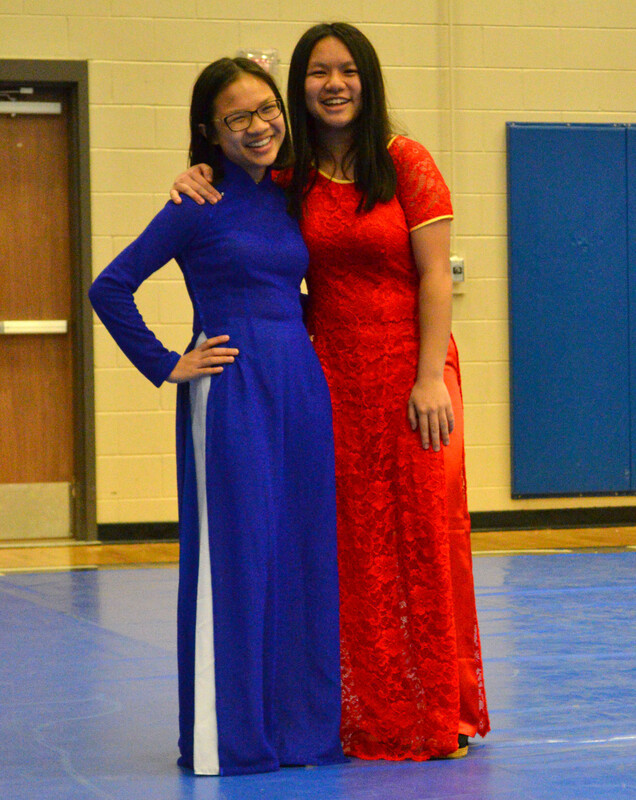 Over 30 students, faculty and staff participated in a fashion show highlighting several countries around the world. 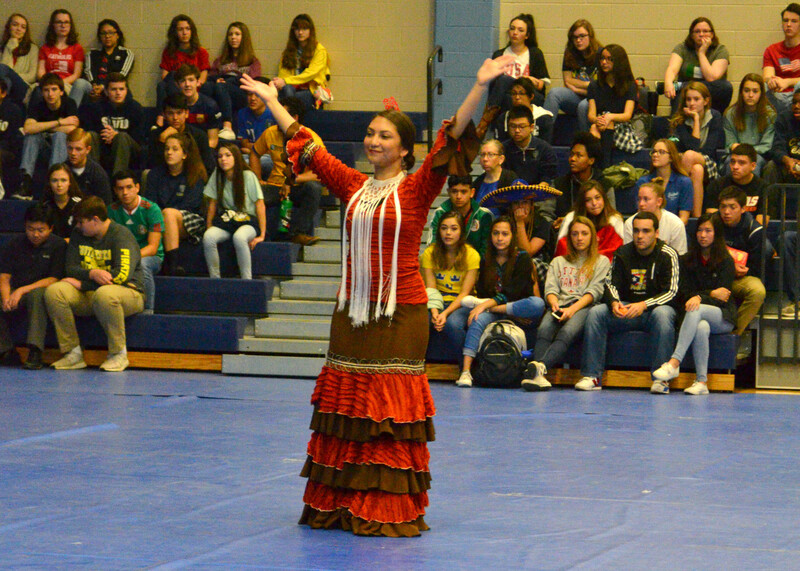 Our Director of Communications, Mrs. Cristina Almanza, gave an impressive performance of an authentic Flamenco dance that originates from Spain. 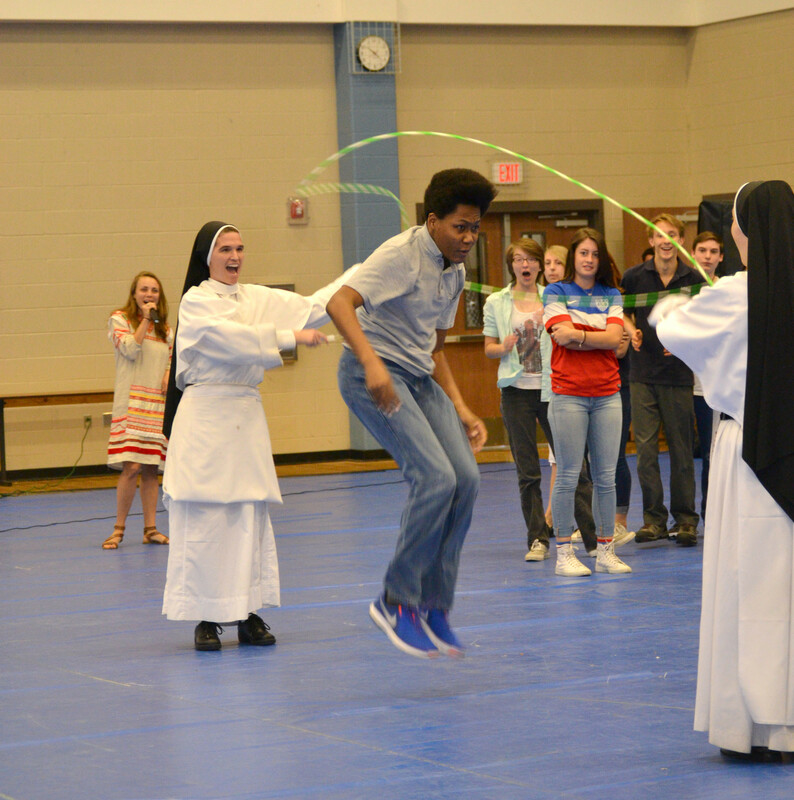 And students and faculty participated in a double-dutch competition to see who could jump the longest. Sophomore Jalen Johnson took the honors as he dazzled the crowd with his accomplished jumping. For lunch, Savio held an International Food Festival. Students, their families, faculty and staff were able to contribute and bring a dish representing countries from all over the world! Salsa dancing lessons were available after school. This was a true learning experience for our students as they tried many types of food and witnessed various clothing and customs from around the world. 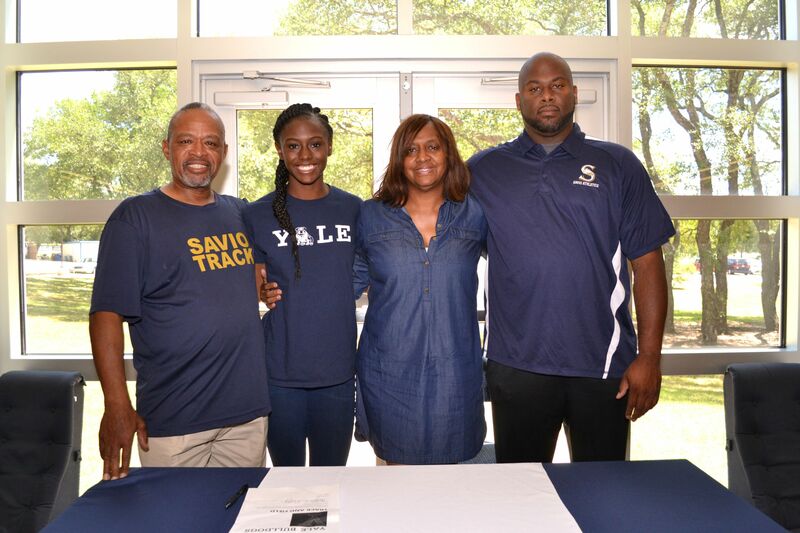 Savio Senior, Angele Kelly signed a letter of intent last week to run Track at Yale University in 2017-2018. Angele has been part of Savio Track & Field for the past four years and a key component to the success of the team. Her individual events and relays have helped the Eagles earn a State Championship last year and she was instrumental to help Savio with a repeat achievement this year. Angele Kelly and her Track teammates placed at the State TAPPS 5A Track Meet this past weekend and Angele is the Triple Jump State Champion with a Jump of 37' 7. We are so excited to see what her future holds! Click here to view more Savio State Championship results. Angele Kelly is from New Orleans, Louisiana, but has lived in Austin/Manor for the majority of her life. Angele finds it interesting to remember how she chose Savio between her two top High School choices in Austin. When it came down to choosing a high school, she chose Savio. “This was most likely the best decision I've made thus far in my life. I loved the sense of community, the acceptance, and inclusion I felt when I shadowed students that were juniors. I shadowed juniors who did not know me, but I automatically felt as if they had accepted me as a younger sibling, who they would guide and protect." Angele will look back and remember fond memories of Savio, and Track and Field especially going to the State Championships two years in a row. She has learned many lessons. “The greatest thing Savio has taught me is most likely leadership. As the years went on, I was provided many leadership opportunities, and this year I am Head Girl. I've learned to lead and not be bossy. I've learned that the most efficient leader listens to the opinions of others before making a decision. I've also learned that you cannot make everyone happy and compromise is inevitable." Angele Kelly is Savio’s Head Girl this school year. She was elected to serve Savio her Senior year as the Head Girl and shares the President of House Council role with the elected Head Boy, Cameron Kologinczak. For Angele to serve Savio as Head Girl, she must remain in good behavioral and academic standing throughout the school year. The Head Boy and Head Girl must have exceptional communication skills to communicate with a range of groups and people. Head Boy and Head Girl display servant leadership in the image of Christ at all times, are reliable, and help run school-wide social events. “Savio has meant so much to me. It has matured me, taught me so much about my faith, and has given me an amazing academic foundation for college. I came to Savio only knowing two people and now I feel as though I can talk to anyone, and have made a multitude of friends. It is a second home to me. We are all one big family, and I never feel awkward or uncomfortable talking to my teachers about anything. Senior Will Bradley signed his Letter of Intent to continue playing football. 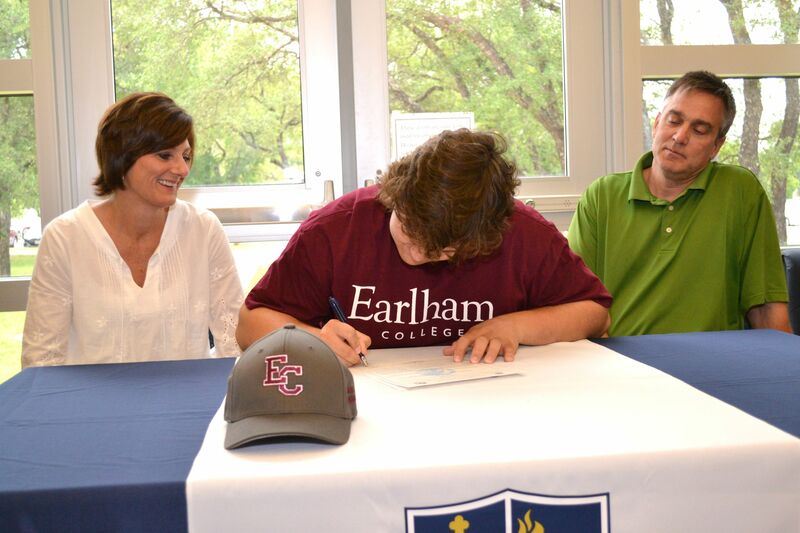 He signed to play with the Division III team at Earlham College in Richmond, Virginia. Earlham College is a private, liberal arts college that is known for preparing students to make a positive difference in the world. We look forward to hearing about his first semester and football season in the fall. Will transferred to St. Dominic Savio his junior year and received the TAPPS Division V Football All-State 1st Team honors this year. We are proud of all of the hardwork and leadership Will has shown through his years at Savio. Looking back, Will has achieved exactly that this year and more! 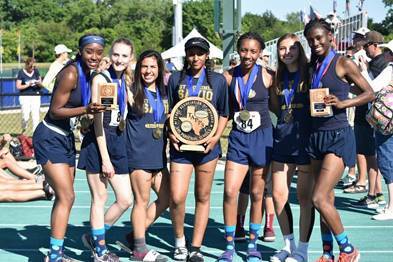 St. Dominic Savio Girls Track Team successfully completed the 3rd leg of their Triple Crown goal by winning a District Title, Regional Title and by defending their State Championship Title as repeat TAPPS 5A State Champions. The girls stacked 124 points with their track events during the two day meet at Clyde Hart Track & Field Stadium, at Baylor University in Waco, Texas. Every year thousands of top students from around the country compete in the United States of America Computing Olympiad (USACO), thought to be the top computer science competition available to high school students. 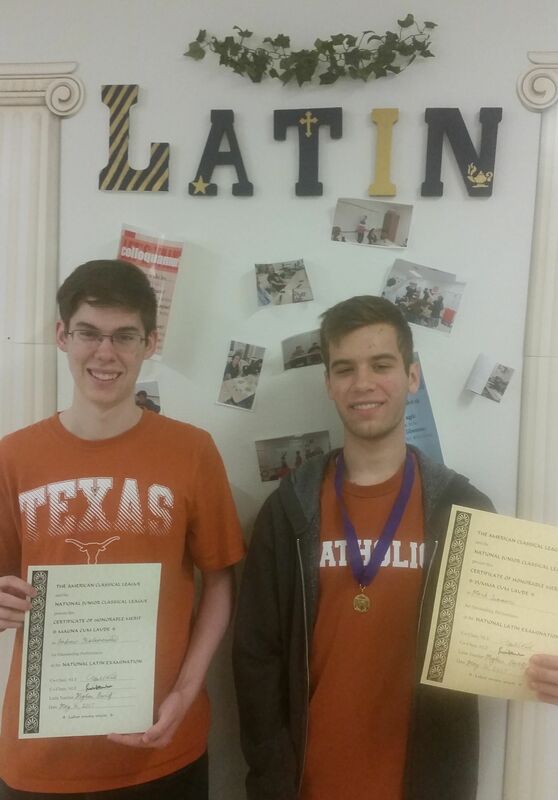 Through a series of four competitions, students try to advance from bronze, to silver, to gold, and ultimately to the platinum level by solving complicated programming problems within a fixed amount of time. Among all students competing at the platinum level, the USACO leaders pick 26 students to win an all-expense paid trip for an intensive 10-day computer science training held at Clemson University. This year Savio sophomore Jonathan Shoemaker qualified as one of these finalists and gets to attend the camp in late May. 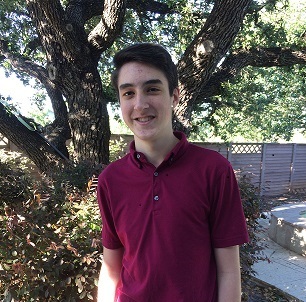 Jonathan was the only student chosen in the greater Austin area, and one of five students chosen in Texas - generally thought to be the second toughest state in which to compete. At the camp, there will be another series of competitions from which the top four students will be selected to represent the United States in an elite international computer science contest known as the International Olympiad in Informatics (IOI). The United States is generally among the very top teams at the competition which usually sees over 100 countries compete. This year's competition will be held in Iran, while the next two years are in Tokyo and Azerbaijan, respectively.